There are a lot of people out for things in New York City. If a person has a lot of money, they may be more guarded than the typical date. If you are genuinely looking for love and not money, it’s important to get this point across. There are ways you can avoid putting attention on money and instead, direct focus to the potential romance. If you’re able to show the person your intentions are real and you want to get to know them, you will give them the confidence that you’re in it for legitimate reasons. Don’t outright mention you’re not interested in someone’s money. This is probably going to be more of a red flag than a reassurance. Gracefully direct the conversation to topics other than money. Don’t mention that you already have all you need. If you are relaxed and genuine, that will shine through without you having to mention it. This part requires you to truly be happy with who you are, when you love yourself, you come off as confident, not desperate. Be genuine and show that you are looking for something real. Your date will see that attitude shine through greater than any words you could say in your own favor. If your date should mention their trip to the Maldives or their recent lunch at Eleven Madison Park, don’t overreact. Be graceful about it and if you have any knowledge to add, do so. Some wealthy individuals who have previously had bad experiences with gold-diggers may flaunt their wealth, trying to test you. Be patient with this behavior and don’t act impressed by whatever is flaunted. Redirect the conversation away from the subject of finances and expensive material things when it seems natural to do so. 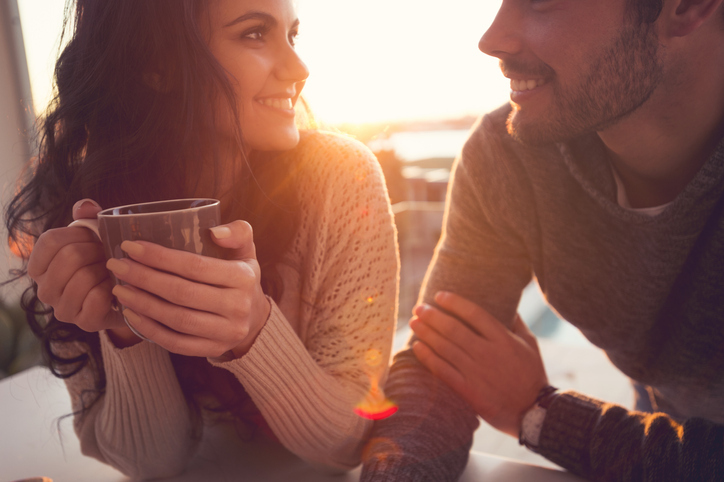 Eventually, your date will begin to feel that you don’t see them as a meal ticket and will hopefully relax and settle into a deeper conversation. The character of a person has nothing to do with how much money they may have in the bank or what assets they may own. Without getting too personal too quickly, ask your date about things that they care about in life. It’s not that you should avoid everything surrounding money, find out why they love their career. Ask them about where they grew up. Showing a genuine interest in their life will allow you to connect on a deeper level. In turn, your date will notice that you truly see them and that you value their character and not their wallet. If you’re really not out for a person’ money, why not pick up the bill? Most men in New York City that have a sense of class (and of course money) will offer to pay. Many times, a women won’t even bring her wallet let alone offer to pay. If you’re going on a date with someone and you don’t want them to think you’re only dating them for their money, bring your wallet and offer to pay. If he declines, allow him to pay. There is a fine line between seeming independent by offering and seeming socially awkward by forcing the point. More men than you realize are willing to split the bill. If you’re genuinely not looking to be with someone for their money, things will begin to flow naturally once you spend some time together. How you deal with the date will help them realize it’s not what’s in their wallet that counts. Focus on the person and on connecting with them on a deeper level.